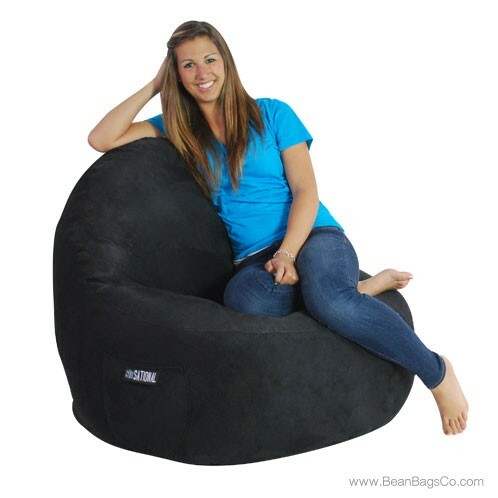 If you want casual furniture that will meet all your needs and look great as well, the 1-Seater Sitsational Lounger bean bag chair in deep black is the perfect choice. 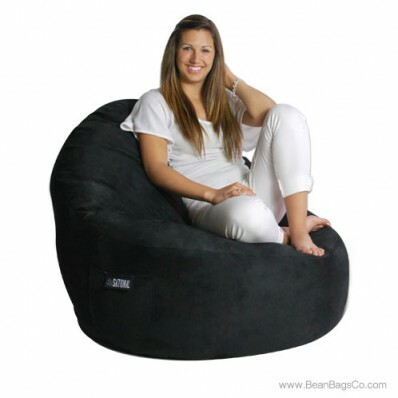 This soft suede lounger is ergonomically designed to provide hours of comfortable seating with strong neck and back support and is handcrafted and sewn to guarantee quality. The fiberfill interior is 100 percent recycled polyester and the outer suede cover, which can be spot cleaned with a damp cloth, is a rich, deep black that will complement any room’s furniture instantly. 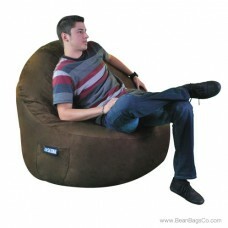 This bean bag chair is available in two sizes to meet junior furniture or adult furniture needs. The soft suede surface cradles you in comfort while the sturdy construction guarantees your lounger will stand up to many years of use in your television room, family room, or bedroom. The handy side pocket holds all your gadgets and reading material for convenience and comfort. 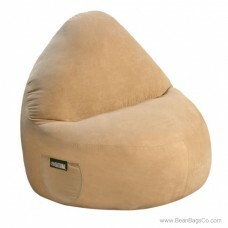 This comfy lounger is available in a variety of colors including chocolate brown, lipstick red, and light brown.